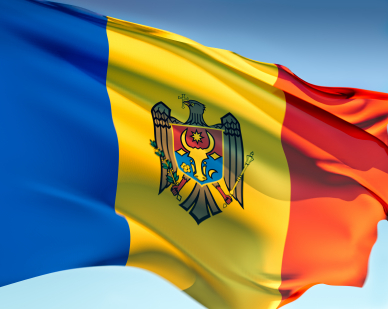 Sunday, May 19th, Moldova had a gay pride parade. While it only lasted half a block it was still deemed a success and many international organizations helped support the local LGBT crowd. I joined our ambassador and country director for the event, feeling safer knowing that they were there, but my biggest worry was ‘what would happen at site?’ Well now that it’s the next day and I’m in my village I still am concerned. How many people saw the news? How many will confront me? Will I be able to stay here for my second year or will I have to move? Being an LGBT volunteer in Moldova is what I imagine being an LGBT person in the 60s. Believe it or not there is a gay scene in Moldova but it is very underground. You have to know the right people to ‘gain entrance.’ We do have one club that is very LGBT friendly – they even have a rainbow painted around their doorway to let others know and within are various stickers protesting homophobia. Other than that many of the LGBT people tend to hang out with various EVS (European Volunteer Service) people and PCVs, since they know that we are LGBT friendly. I’m very lucky that I have a great support network within the PC world and staff (HCNs – host country nationals and U.S.) who are open and supportive of me and my unique service. But when I come back to site I am a completely different person. Not only am I lying about who I am attracted to but also who I am at my very core. My village has accepted me for the most part – my coworkers at school come to me and seem genuinely seem interested in talking to me – but how can I develop a relationship with someone if they don’t even know who I am? Knowing that if they knew the truth, they would shun me or take me to the priest to be ‘healed.’ Knowing that when I return to the states to begin my gender transition, I will never be able to keep in contact with them, except by email, for once I start hormones my voice will change. I live with a grandmother who happens to be very open. We enjoy each others company and we’ve had some great times. Once, over a few shots of home-made rakiu, I even changed her mind on gay-marriage by telling her that love is love and this world is hard enough alone. If you can find someone to share your struggles, and victories, with then you should be allowed to marry them. You see even during pre-service training I was somehow ‘popular’ with many of the HCNs even though I dressed oddly. I guess the one good thing about being a stranger in strange lands is that you are a stranger. How do they know that what you are doing is odd, different, or strange? It’s a mix of a blessing being in a country full of such ignorance but also a curse. People tend to see what they want to see, you could walk around with a LGBT flag and they would comment about how pretty the colors are, but once the words LGBT are involved then it’s a completely different story.